At the age of 11, Jimmy Murphy lived with Gary Doyle's Grandmother after the San Francisco earthquake & fire in 1906 in which his father died. Gary grew up seeing the memoribilia at his Grandmother's house so, he decided to write a book about Murphy. 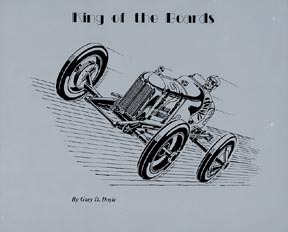 His book contains approx 300 rare photos on the Golden Age of automobile racing. In this era of board track racing, Jimmy Murphy was on of the greatest drivers in the world. He proved that by beating the world's best in Europe.